More steel equals more security. By adding additional layers of steel you are increasing the tensile strength of the safe, making it stronger and more resistant to attacks. Fort Knox gives you multiple ways to construct your hand made safe to give you the peace of mind you deserve. 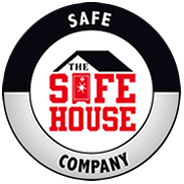 Create your safe with a heavier steel body with a Safe Body Upgrade or increase the level of security with both the safe body and door with the Deluxe Package. Add up to four additional layers of steel to the inside of your safe and you will have premier steel tensile strength and unsurpassed security. New for 2012 is Fort Knox ArmaKnox. Three times stronger than mild steel and able to give your safe a Level 3 ballistics rating, Fort Knox ArmaKnox is true superior strength. Whether you select a standard safe, or choose one of our legendary steel upgrades, Fort Knox is the security leader.